Here is the dream. 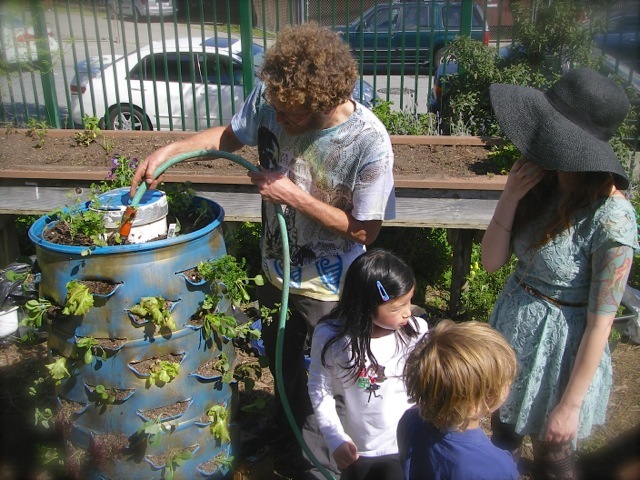 Every neighborhood has some places to grow food and flowers. Especially backyards. How about every neighborhood having some thing like a free nursery and garden resource center to help neighbors who have some space and want to grow a garden? A place that shows how to grow a lot of food in a backyard. Add to that a secret but not too secret garden where a person can wander in from off the street and be transported to another world and dimension. 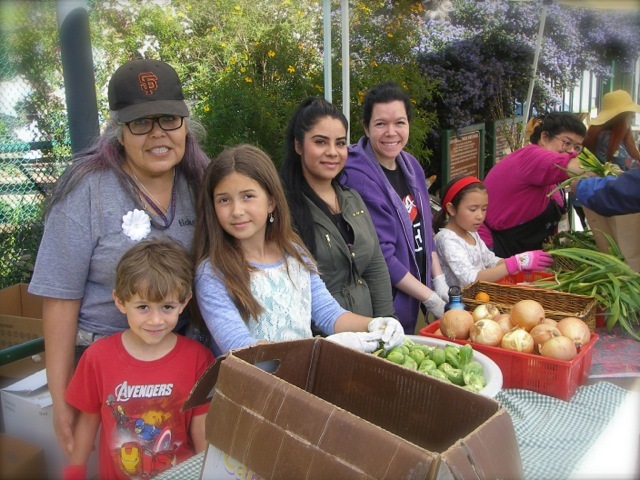 At the Free Farm Stand we have been trying to encourage urban food growing as a way to make sure no one needs to go without some good quality fresh organic vegetables and fruit in their diet. We are always looking for ways to encourage people to grow some of their own and share the surplus with others in need. Our latest idea is to create that dream of a magical space in the neighborhood that will inspire people to grow something if they have even the smallest space. Now that dream is taking shape. We have a space on the same street as the Free Farm Stand. On Wednesday March 26th from 9am until about 3pm or 4pm we plan to take the first step in just cleaning the place up. It has become over grown and jungly since I worked there at least five years ago. The large lot is like a blank canvas, but instead of being a vacant spot, it is a well established garden that needs a lot of work and redesign. We have a great need for people who can help us plan how to best use this spot and create a resource center. Some current ideas are to build raised beds to grow food more intensely in the sunny area, figure out where to put a greenhouse, find the best space to hold work shops and to eat, improve the irrigation and perhaps install a grey waster system, figure out how to landscape the shady areas, incorporate art in the garden, create a meditative spot for visitors to sit, perhaps have tea, write in a journal. There are so many things that could be done. We also need to find people who commit to being there at least once a week so we can have regular hours. When we closed the Free Farm our crew and volunteers dispersed. If you want to be part of this exciting new project please contact me by email right now. In the meantime the Free Farm Stand continues rocking every Sunday. Besides the free produce and bread, a lot of other things go on there. It seems that the “free” table is becoming a permanent fixture. 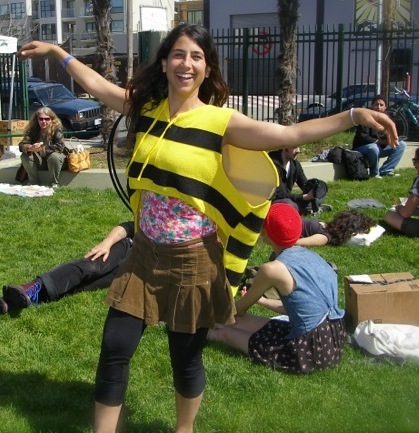 This week someone brought a really great bee costume (see one of our volunteers below modeling it). The information booth which was established with the some of the same goals as our dream for the free garden resource center gave out nice seedlings and starts thanks to Alemany Farm. I have been going there to help harvest on Fridays afternoon and that is fun too if anyone wants to join me. We continue to be so grateful for their support now that we aren’t growing food for the Stand ourselves. Also, this Sunday was really busy at the Stand because the First Mennonite Sunday School kids returned and they were great. They and their parents have become regular crew members! We also had a special event, the planting of the garden tower. The idea behind the garden tower is to demonstrate how you can grow a lot of food in a small space. I am eager to see how the plants grow. Unfortunately I don’t have any good photos from the event, although there seemed to be many photographers around. My almost favorite thing that happened at the Stand this week is that one of the kids who came to volunteer loved to turn the compost (with his mom’s help). He is also the boy who said he likes planting kale because he likes the kale chips his mom makes. We got the most amazing black finished compost on the bottom of the pile, so beautiful I had to take a picture. 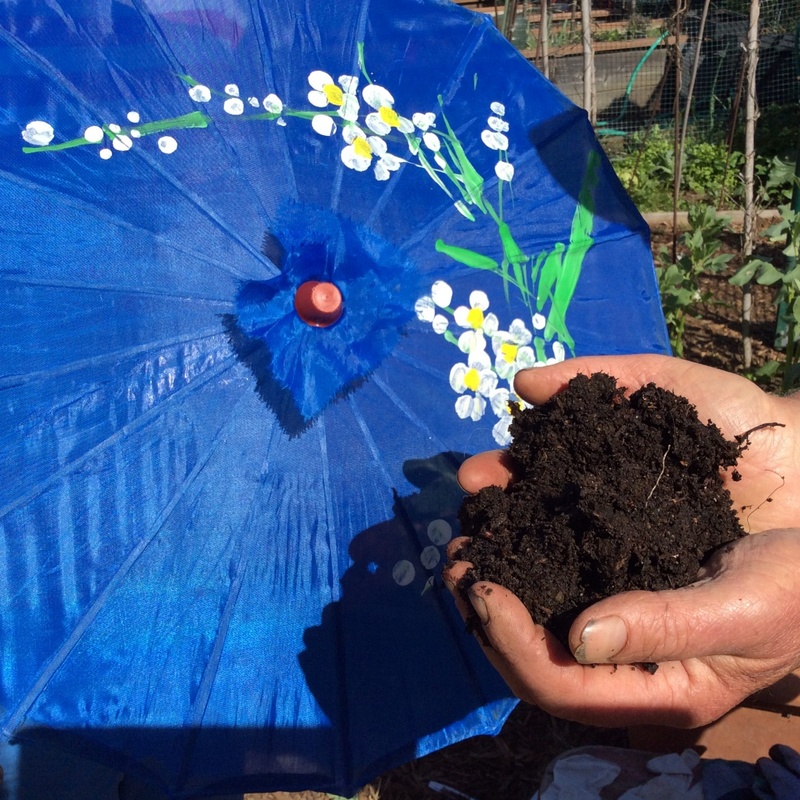 Creating rich compost and feeding it to the garden is one of the most satisfying things one can do. We love the carbon cycle!